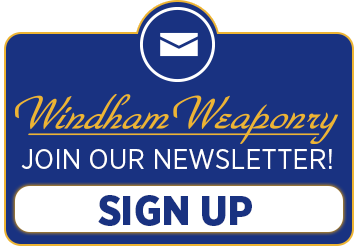 Windham Weaponry – and in fact the whole gun industry – faces many challenges resulting from recent events and the proposed changes to gun legislation on State and Federal levels. As firearms enthusiasts and owners, all of our friends and customers can make their feelings on these matters known to their Legislators and Government Representatives through the links found in the National Shooting Sports Foundation Press Release below. Take action today, and make your voice heard! NEWTOWN, Conn. — Through its online Legislative Action Center, the National Shooting Sports Foundation offers a convenient way for supporters of the Second Amendment to urge their legislators to oppose severely restrictive firearms bills that have been introduced in the U.S. Congress and in many states. NSSF’s Legislative Action Center is the industry’s one-stop hub for finding contact information for federal and state legislators, learning about newly introduced firearms legislation and taking action–sending a letter or making a phone call to lawmakers. Visitors can use both the Research State and Federal Legislation and Industry-Relevant Federal Legislation tools for tracking alarming efforts to restrict ownership and use of semiautomatic rifles and ammunition. Restrictive gun-control legislation has been introduced throughout the country, including in the U.S. Congress and in California, Colorado, Connecticut, Maryland, Minnesota and New Jersey. Other states are expected to follow suit. New York has already hastily passed new anti-gun laws, the severe impacts of which are only just being realized. In response, firearms owners are turning out by the thousands at state hearings, but just as important is letting legislators know by letter or phone call that these proposed bills are misguided, unwarranted and an assault on Second Amendment rights. NSSF’s Legislative Action Center provides a core letter, which can be expanded and personalized, that urges legislators to not waste time and public resources on reinstating failed gun-control measures, such as the so-called “assault weapons ban.” For a decade, the ban restricted the sale of semiautomatic rifles and limited magazine capacity to 10 rounds, but according to a U.S. Department of Justice study, the ban did not reduce crime. And since the ban expired in 2004, violent crime has declined. Legislators are urged to focus instead on effective solutions that will reduce the criminal misuse of firearms by enforcing existing gun laws, improving the background check database and preventing access to firearms by unauthorized persons, including children, at-risk individuals and prohibited persons. Use the NSSF Legislative Action Center to call or write your federal and state legislators today and urge them to protect your right to own and use the firearms of your choice for target shooting, hunting, personal and home protection and collecting. NSSF – Bill Brassard Jr.
Cut two small blocks of wood that are about 1 Â½” thick and drill a hole in one of them. Position them as shown. Use the punch to push in the detent in the hole on the magwell side of the trigger guard and remove trigger guard. My rifle is a WW-15, which one of your rifles did I purchase ? Your rifle part number is not stamped on the rifle. If you do not see your rifle listed on our website or in the catalog it may a variation we build based on one of our standard models. I work in Saudi Arabia. I was deployed to Bosnia and Iraq and carried an assortment of small arms at various times. Based on what I had heard and read about your weapons I purchased 2 Windhams when I was at home in November on vacation. One was a gift for my nephew and one was for me. I like it so much I am planning on purchasing another for myself. I have never done that with any other make except my Glock 17. Good job. Hello Windham Weaponry, just received my first newsletter email from you and I enjoyed the update on what’s happening out and around. I recently had some gunsmith work done at your facility and I would like to tell you thanks for the professional and courteous manner you people all conduct yourselves. I’m glad you all got back together and continued on there with a great facility to assist us out here with our sport we love . take care, be safe and thanks again. SRC build up – the transformation of a basic weapon….Burris tactical sight w/quick release mount, LWRCI flip-up iron sights and Diamondhead forend. PRICE: $ 124.95 Buy Now! This all aluminum AR-15 Carbine Integrated Rail Forend System replaces the plastic factory handguard set in minutes and requires no gunsmithing. No permanent alterations need to be made to the rifle – its a drop in, screwless installation held in place by the Delta Ring and Handguard Cap. Four MIL-STD 1913 Picatinny Rails provide a secure platform for mounting accessories such as vertical grips, lights, lasers, bipods and other rail mounted items. A monolithic style continuous top rail eliminates the gap between the receiver and rail. Overall length is 7 inches. Construction is lightweight 6061 aluminum with a hard coat anodize finish. As this set fits quite a bit tighter than stock handguards, we recommend our handguard removal/installation tool as a good accessory to help with installation (available on our website – Part # HGD-TOOL). This photo shows the handguard set both assembled and with top & bottom halves separated. Made in the USA with a Lifetime Warranty from Mission First Tactical. 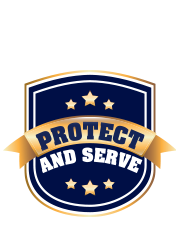 The month of February is off to a great start here at Windham Weaponry as Law Enforcement Sales have really taken off. I had the opportunity to attend the Maine Chiefs of Police conference on February 7th that was held in South Portland, Maine. The event was a huge success as Chiefs from all around New England were in attendance. It was a great opportunity for me to meet so many of the Chiefs that I have been conducting business with and it was truly my pleasure. I would like to thank the folks from the Maine Wardens Service for choosing Windham Weaponry once again for their second major purchase of rifles. The Maine Wardens just added 65 more Windham rifles to their force – making the total now of 125 Windham Weaponry rifles. The Maine State Police have also placed their first order with Windham Weaponry and we are very pleased to have earned their business as well. Our goal here at Windham Weaponry’s Law Enforcement Division is to get the rifles in the hands of those that need them to make the rest of us safe. No matter how big or small the agency is, we will always be there for them. Jon brings a career long background in graphics, advertising and printing to Windham Weaponry with 14 1/2 years of Bushmaster experience. Even before Bushmaster, Jon worked with Windham Weaponry’s owner, Richard Dyke for 4 years in Chipco – a custom gaming chip manufacturing operation – where he designed the images that went on casino chips worldwide. With computer graphics and a photography studio, Jon creates Windham Weaponry’s catalogs, print ads, operating manuals, web imagery and descriptions, and the various marketing support pieces to get the Windham Weaponry story out to the public. Beyond all that – which is fun in and of itself – Jon also enjoys shooting, fishing, snowshoeing, wood and metal working, and motorcycle restoration. He works out of his Cape Elizabeth home studio (about 25 miles from the WW plant in Windham). At home is wife Paddy, a golden retriever named Bear, and a couple fat sister cats named Leia and Eeyore. Jon keeps in regular contact with his two grown sons, Brian and Kevin, who live and work in Chicago and Seattle.